Hello everyone and welcome to our latest newsletter bringing you all the going's on from Cheshire's friendliest Golf Club. We trust that you've had a good week so far both on and off the golf course. Our ladies have a great day out despite the weather! Have you booked on the Callaway Fitting Day yet? Full dual membership for just £100! This week sees the second Major of the season take place. This year's US Open is being played at Erin Hills for the first time and many of the world's leading players will only have seen the layout for the first time this week, making it tricky to pick potential contenders. 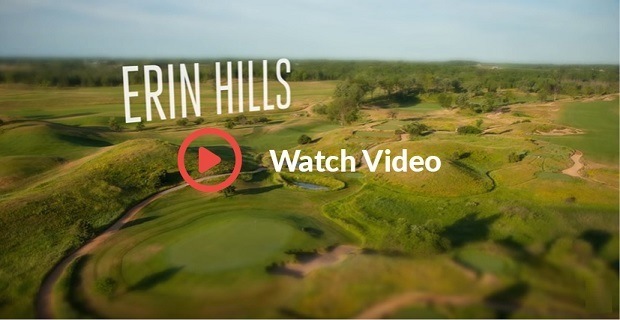 What we do know is that Erin Hills is a links style layout that can be stretched to the best part of 8,000 yards and, despite generous fairways, it seems to have fearsomely deep fescue grass rough coupled with lightning-quick undulating greens. So the leading contenders will need length off the tee as well as accuracy and a strong short game. Kevin Na isn't a big fan of the rough at Erin Hills, check out his video - it looks pretty horrific! Dustin Johnson (13/2) - The defending US Open champion and he's the red hot favourite for a reason - he has every attribute to win this tournament again with his fearsome power off the tee he can make even this lengthy course seem short and he will be hitting a wedge into most of the greens to set up many birdie opportunities. Hard to beat if the putter is working. Alex Noren (60/1) - The recent BMW PGA Championship winner has had a brilliant last 12 months rising to a ranking of number 8 in the world. Again a great driver of the ball and an ice cool temperament should suit the pressures of a Major Championship. Kevin Kisner (66/1) - Good odds for a player who has already won on the PGA Tour this year and also finished tied 6th amongst a strong field at the recent Memorial Tournament. Great each way bet. Kevin Chappell (70/1) - Another Kevin worth backing. A big-hitter who has had a solid season so far and tied 4th last week in the Fed Ex St Jude Classic. Another player with great each way value. Jon Rham (20/1) - The big hitting Spaniard is almost certain to win a Major. It's just a question of when and on this untested layout he is as good a bet as any player to feature at the top of the leaderboard. Remember any winnings are subject to a fee! If you think we've missed anyone you think is worth a bet, message us here with your tip. Last weekend we played another board competition as our members contested the Maddock Trophy named after our well known former President, Colin Maddock. The format was Stableford and there were plenty of players going into the competition in good form. The winner was young Javier Lang who won last week's Junior Barnes Trophy as well as finishing runner up in the June Medal. He continued this great form on Sunday as he scored 42 points meaning that for his last 3 competitive rounds Javier has scored a cumulative total of 19 under par! Scoring like this can only mean one thing - Javier's handicap has now fallen from 20 in May to 14 and if he keeps up his good play it will surely fall further before the end of the season. Well done Javier. All the practice is paying off! Simon Stephenson also had a good weekend. He had a great win against Martin Major in the Knockout Trophy on Saturday and on Sunday he scored 40 points to take second place. Third position went to Vice-Captain Dave Shering who was also on 40 points. This Saturday at 11am we play our Scratch Trophy and we've got a strong field contesting for the Trophy including low handicappers Rhys Nevin-Wharton, Tom Duncalf, Kieran Underwood and Martin Major. Remember there is also a best nett prize as well as Order of Merit points to play for so it's well worth entering no matter what your handicap! In terms of the weather last Tuesday it was a terrible day with torrential rain and stormy winds. Unfortunately it was also the day that our ladies were having their Lady Captain's away day at Helsby Golf Club but all 22 ladies deserve every credit as they defied the awful weather to play their competition. The winning pair was Sue Gunning and Wendy D'Arcy and despite the conditions a good time was still had by all! Here are some photo highlights of the day. The weather also put paid to the seniors Summer League on Tuesday. Although a few brave golfers still went out to play. We are very lucky to have a Callaway Fitting Day coming up next week on Wednesday 21st June from 2-6pm. on the day you can experience a FREE custom fitting session from Callaway's fitting expert, Tom Gradwell, including the new Epic irons and hybrids that have recently been launched to supplement the top-selling Epic woods. There will also be special offers on the day so there will be plenty of bargains to be had! We still have a few slots available between 2:30-5pm. 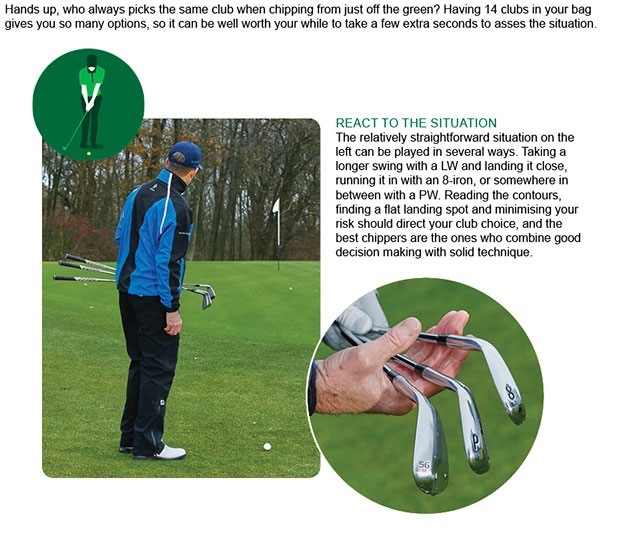 Click here to book your Callaway fitting appointment. Now that we are well into the golf season you might find you are playing golf more often, even if you play just a couple of times a week it makes sense to become a member here. If you've never been a member of a Golf Club but you would like to try it then we offer a brilliant Trial membership which lasts for 2 months, costing just £100. With the trial membership you can play as much golf as you like 7 days a week and it also includes golf at our other club, Pryors Hayes. So you get to play at the best time of the year when we have the most hours of daylight and the best weather! 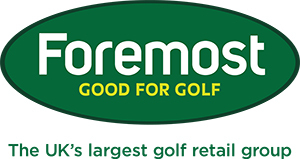 If you enjoy the membership and are getting your monies worth you can then look at becoming a full member for 12 months. But if you don't think you will play enough to warrant a full membership don't forget that we also offer a flexible membership option where you can pay £200 for 200 points and then use your points against rounds of golf at a discounted rate. On the flexible membership a round of 9 holes will cost you just 8 points so you could get up to 25 rounds of golf which is great value. If you have any questions about membership please contact us here. We are now entering the last couple of weeks of our Complete Equipment Solution. It's the best offer we have all year on hardware as we are offering a FREE custom fitting session and a FREE follow up lesson if you make a purchase on clubs from leading brands such as Callaway, TaylorMade, Titleist and PING. 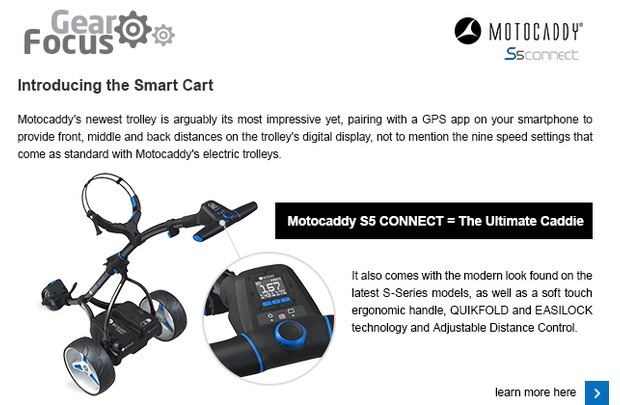 And it's an offer you won't be able to get in high street golf shops or on internet sites. Lots of you have already taken advantage of the promotion and the results speak for themselves. Just look at our competition winners and almost all of them have been custom fitted for their equipment by us. It makes a huge difference to your game and if you haven't taken advantage of custom fitting you really are missing out! Click here to book your Complete Equipment Solution. 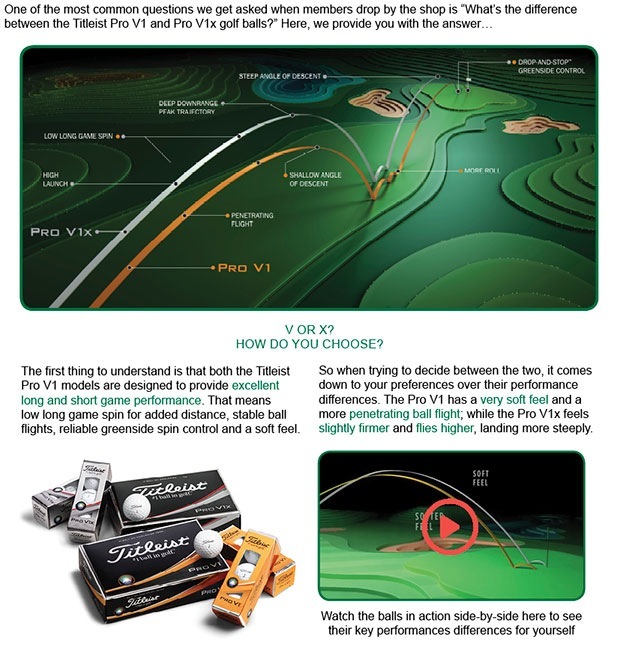 Which ball is right for your game? It can be tough to know which ball will give you the perfect performance from tee-to-green, so to help you make this decision Srixon has released a limited number of Performance Packs - each containing a sleeve of three of the AD333 Tour, AD333 and UltiSoft golf balls – for you to try and compare. Erin Hills will be the site of the 2017 U.S. Open, so here we take a look at what makes this relatively young course so special.